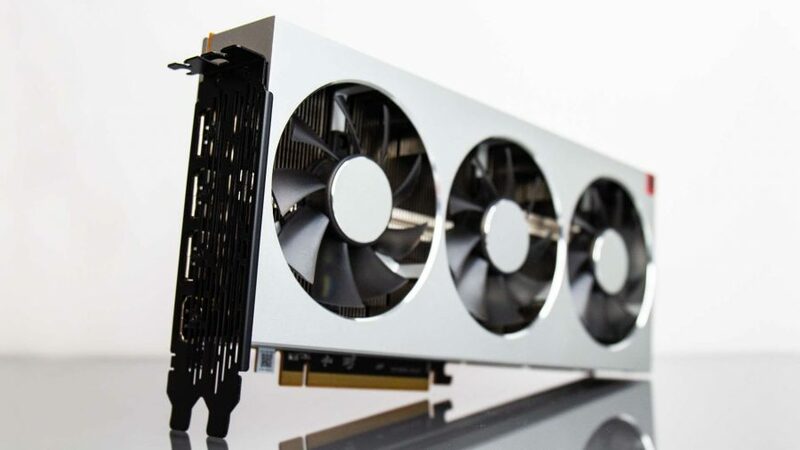 AMD Radeon VII unboxing – the Nvidia RTX 2080 challenger is here! 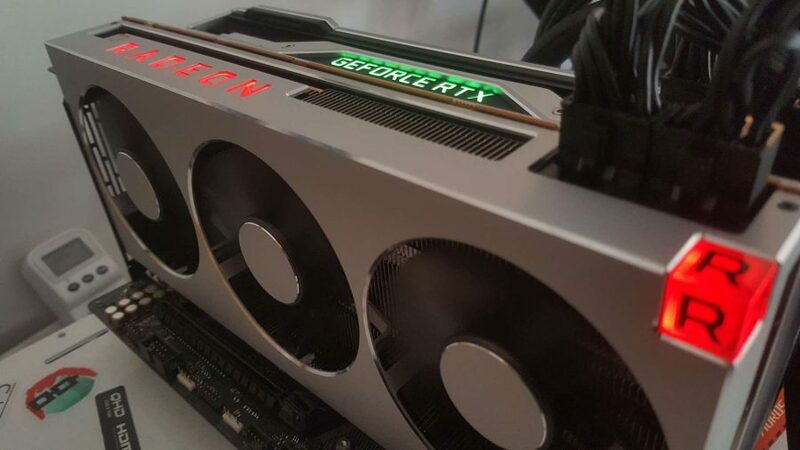 The AMD Radeon VII is here, in our hands, and in the PCGamesN test rig going through a battery of tests to decide whether or not it can genuinely claim to be the winner in the grand ol’ AMD Radeon VII vs Nvidia RTX 2080 battle royale. We can’t decide that today as we’re not allowed to give any performance number beyond those that have already been published ahead of today. But the Radeon VII release date is scheduled for February 7, and we’ll have our full, in-depth, independent review live as soon as we’re allowed to press that ‘publish’ button. 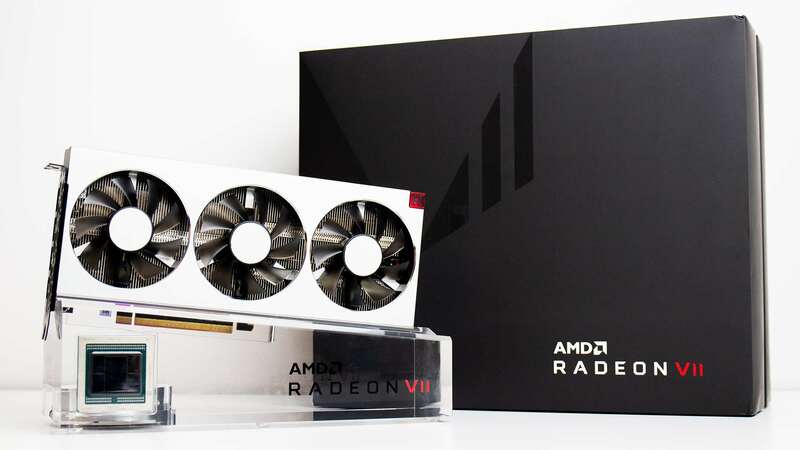 You can, however, watch us lovingly fondle the new graphics card and its press-exclusive packaging in our Radeon VII unboxing video below. And what a lovely package it is. Quite aside from the stark brushed metal matte finish of the new Radeon card there’s also a big ol’ display stand for it. So, once you’ve finished doing all that extreme rendering the Vega 20 GPU and its 16GB of HBM2 VRAM allows you to do, you can slip it out of your PC and proudly display it on its perspex plinth. Its RGB LED perspex plinth, of course. Inlaid into which is a dummy model of the AMD Vega 20 GPU used inside the Radeon VII. Well, we assume it’s a dummy, ‘cos damn, that’s some expensive silicon to otherwise inhume in plastic. 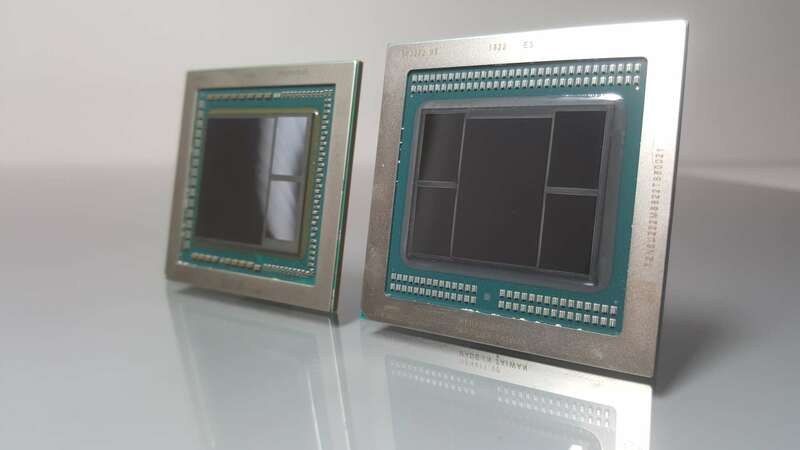 Sat cheek-by-jowl with the Vega 10 GPU from our original AMD RX Vega 64 card you can immediately see just how much smaller the new 7nm GPU is compared with the last-gen 14nm chip. You can also see just how the extra space afforded by that die-shrink has allowed AMD to array another 8GB of HBM2 VRAM around the outside of it, doubling the old card’s memory capacity. Inside that GPU are 60 enabled compute units (though the full Vega 20 chip has a 64 CU complement) and that means the Radeon VII comes with 3,840 GCN cores inside it. That’s 256 fewer than were in the RX Vega 64, but AMD promise it will still outperform its older sibling by an average of 29% across different GPU workloads. But AMD is also suggesting the Radeon VII will also outperform the price-competitive Nvidia RTX 2080 in some games too. Dr. Lisa Su showed the new AMD card beating the Turing GPU in Far Cry 5, Battlefield V, and Strange Brigade at 4K on stage at CES last month, and there have, inevitably, been some performance leaks too. The 3DMark database is a gold mine for pre-release performance tests, though as they are not always using the latest drivers results might not be 100% reliable. That said, the leaked benchmarks show the Radeon VII topping the RTX 2080 in Firestrike Ultra, though in some Time Spy scores we found online the Nvidia Turing GPU retakes the lead. It’s looking like a bit of a close run thing between the two cards, but that in itself has to be seen as a form of victory for AMD. If it can trade blows with the Nvidia card then it’s giving gamers a genuine high-end alternative to the traditional GeForce hegemony. But thanks to the high price of Nvidia’s Turing cards AMD has been able to bring us a high-end Radeon that looks like it might be able to genuinely compete with the latest GeForce GPUs. Check out our full review later this week when we’ll know for sure.